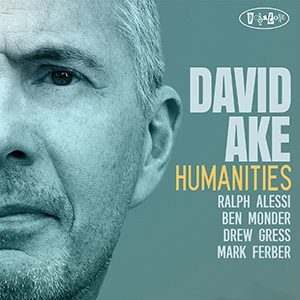 David Ake’s Humanities is solid throughout, especially considering his amazing quintet is populated by A-List players — guitarist Ben Monder, trumpeter Ralph Alessi, bassist Drew Gress and drummer Mark Ferber. Recorded in one long afternoon session last year in Brooklyn, the solos, the arrangements, the swoon-worthy melodic constructions, the meandering adventures that wind up satisfying even the most hardboiled heard-it-all listeners like me, add up to the kind of project that just keeps on getting better with each succeeding listen. I just wish I could figure out how to make David Ake’s “Ripple” my phone’s ring tone.